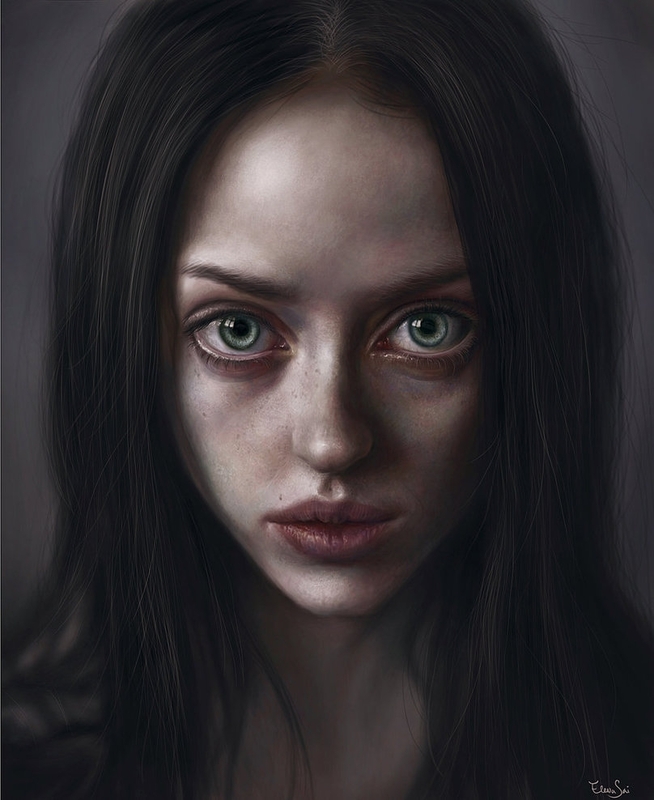 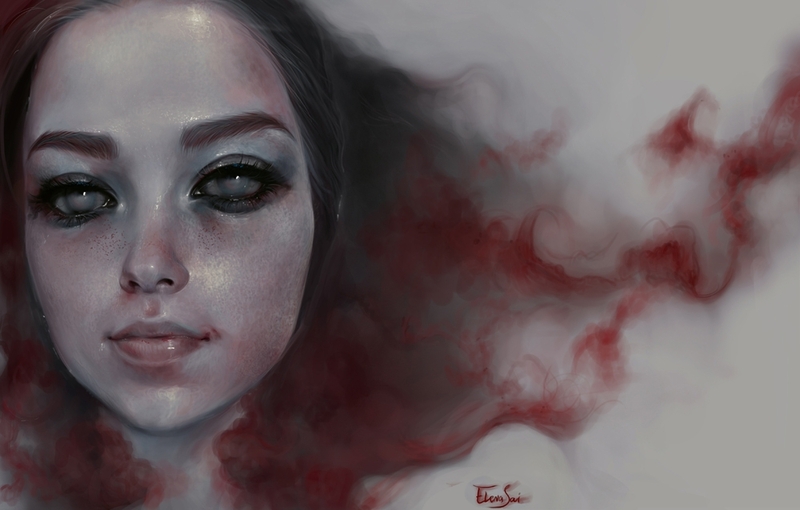 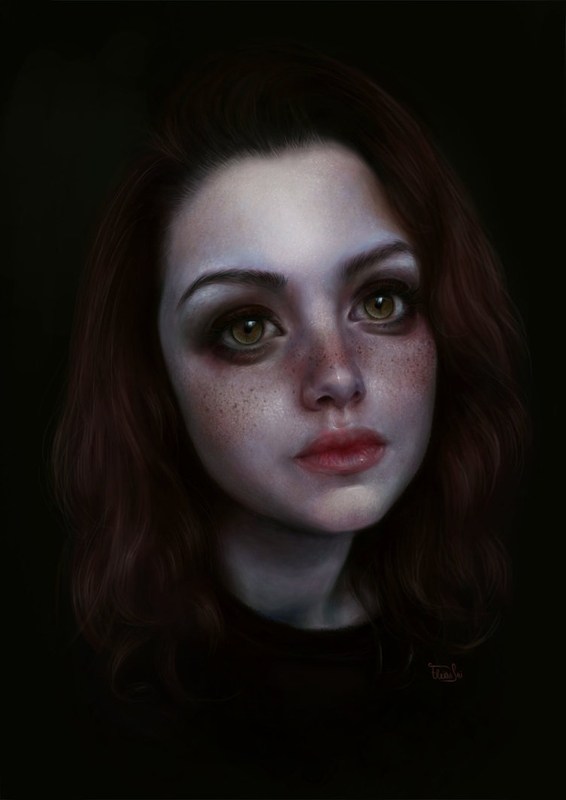 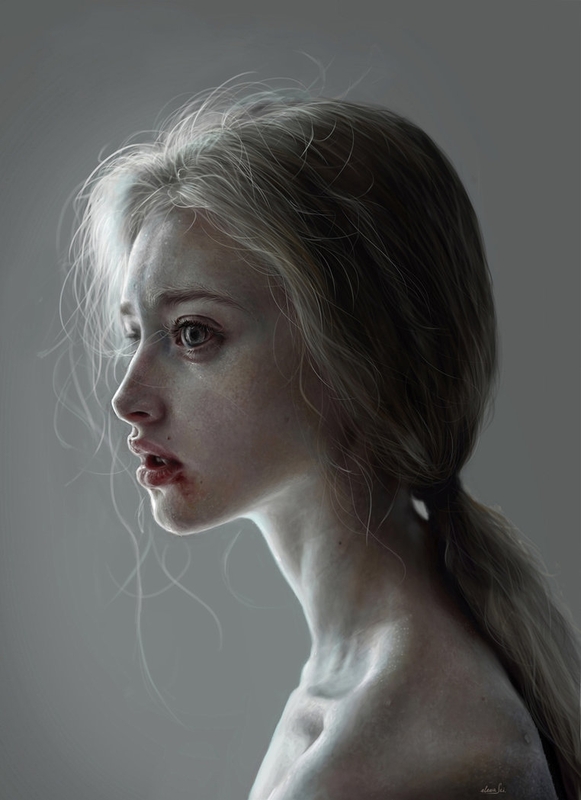 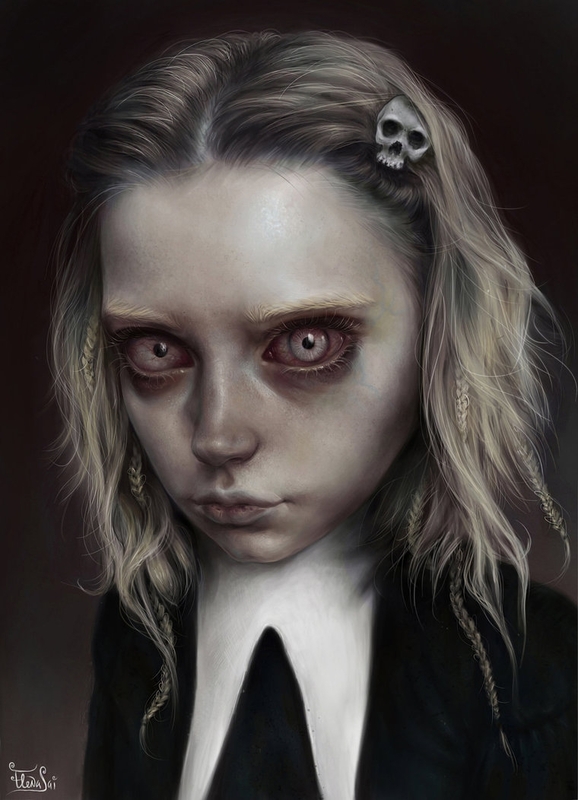 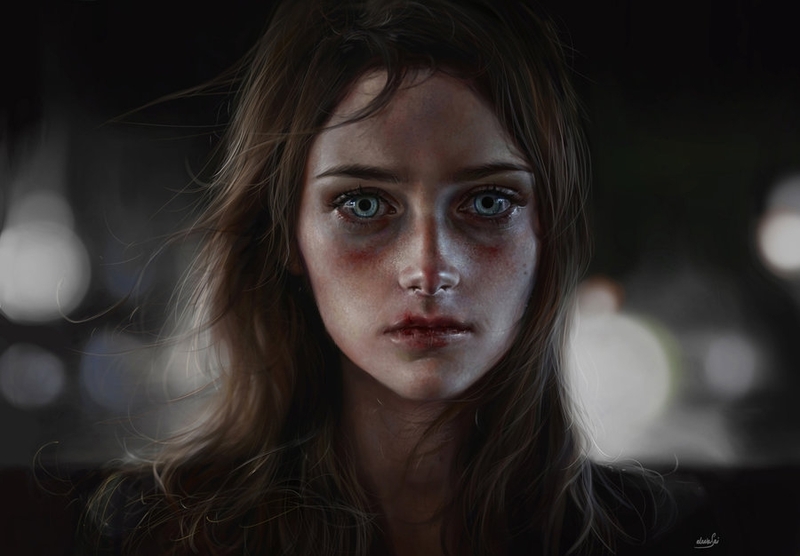 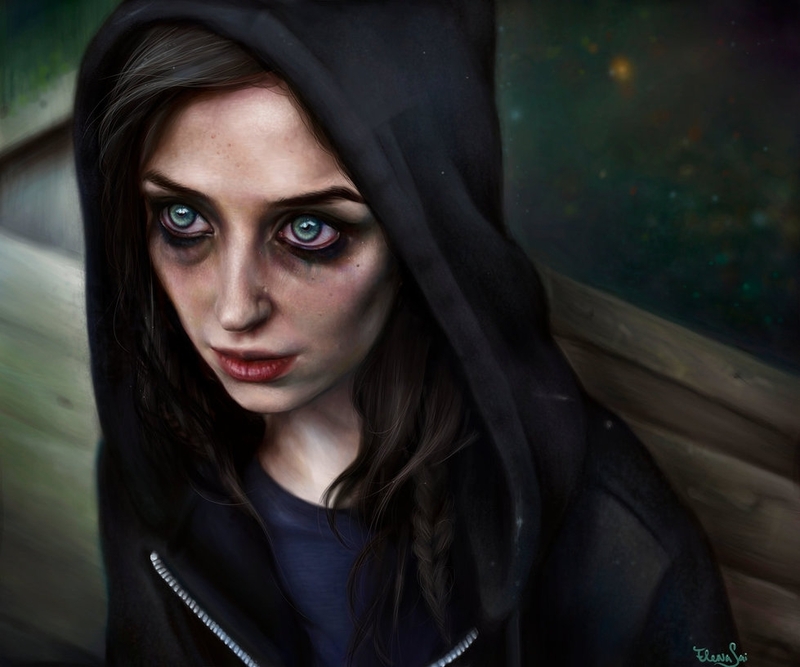 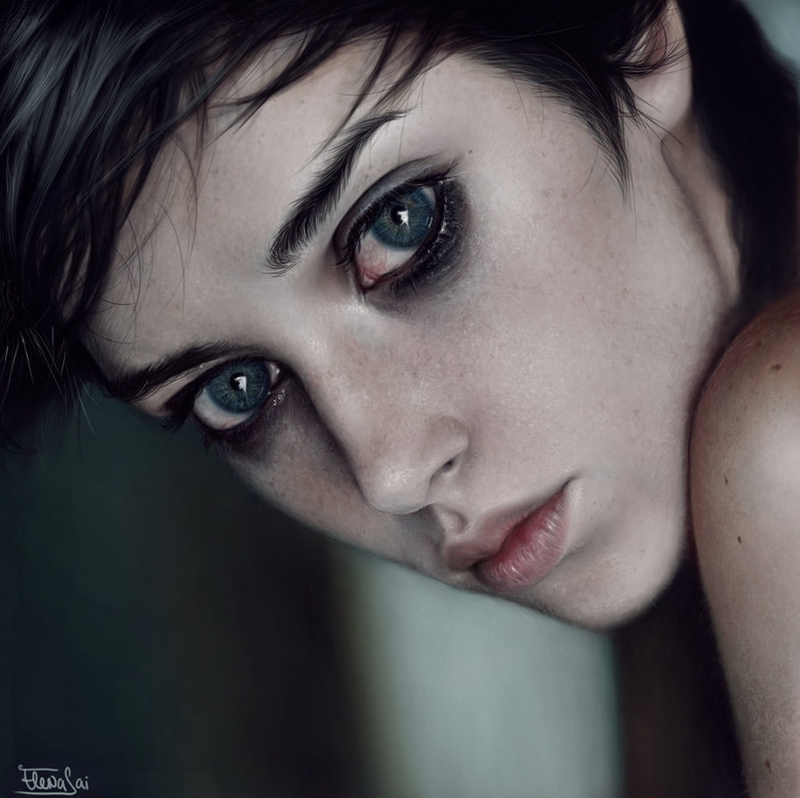 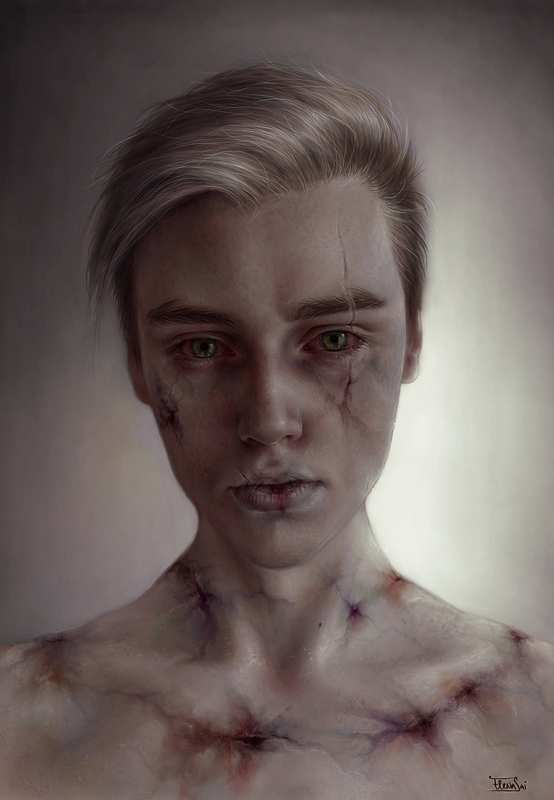 Digital paintings that show a different side to the art of portraiture. 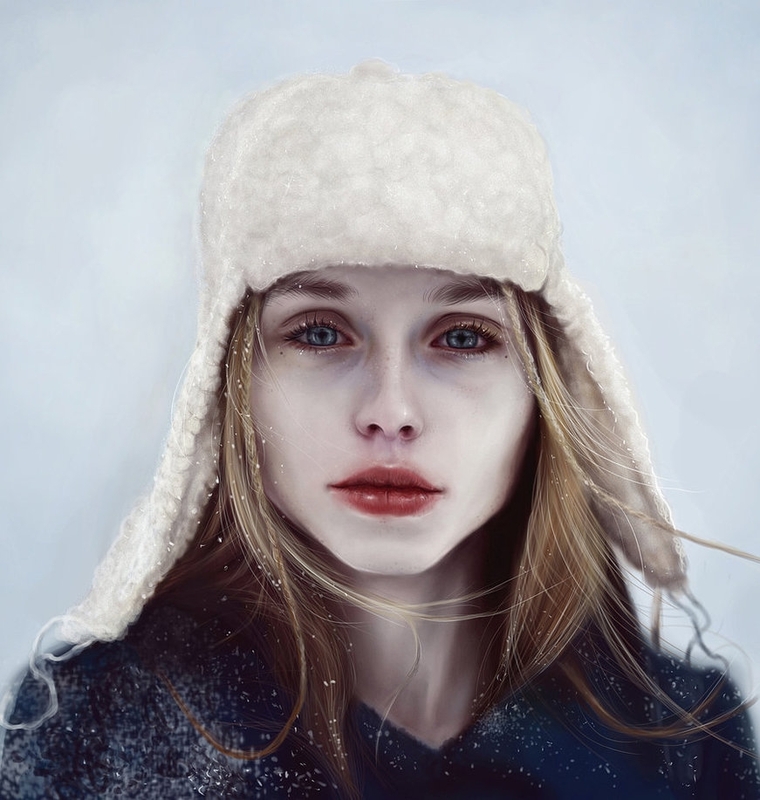 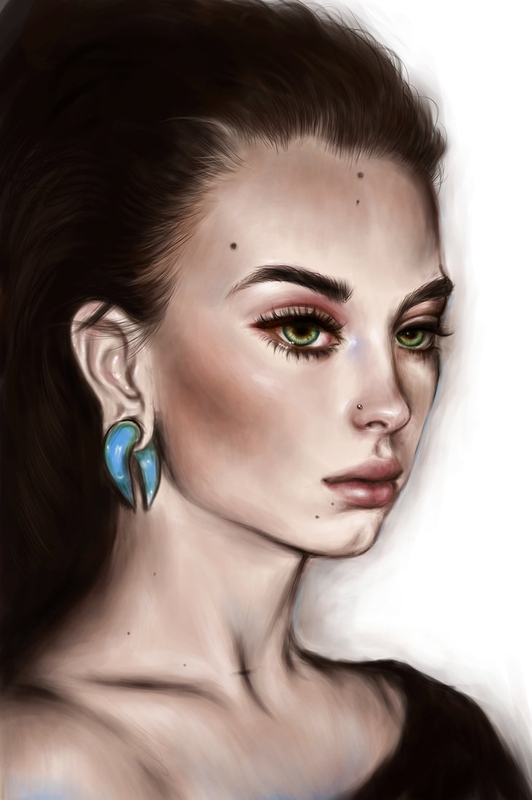 Ukrainian Digital Artist Elena Sai, does not go for the conventional portrait, where all the bad features of the the face are softened or eliminated, or happy representations of joy. 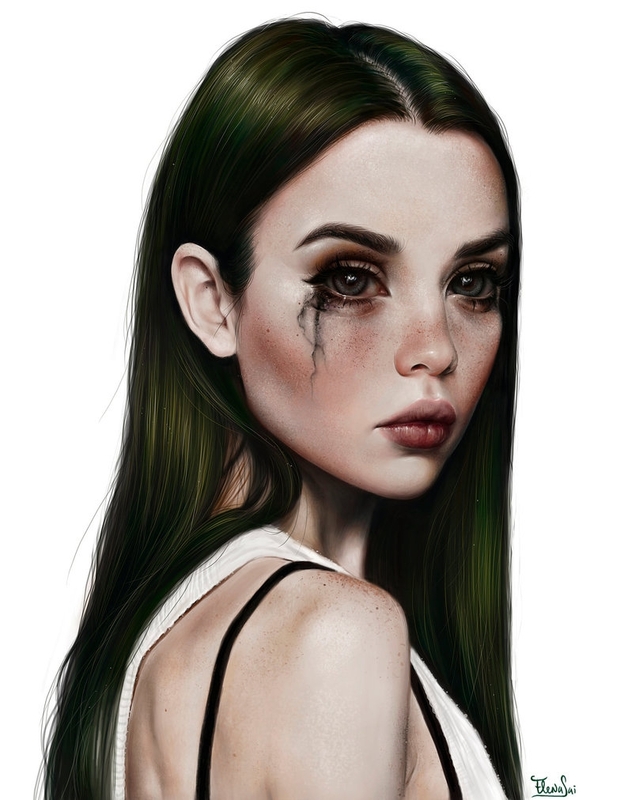 Her drawings are characterised by rawness of the images and enlarged eyes, that make them even more piercing. 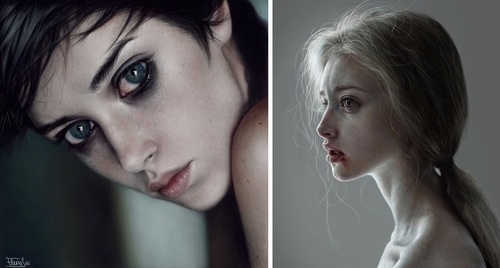 The pictures below are a selection of the more tame images on the site, but still stand in stark contrast with the type of imagery associated with portraits. 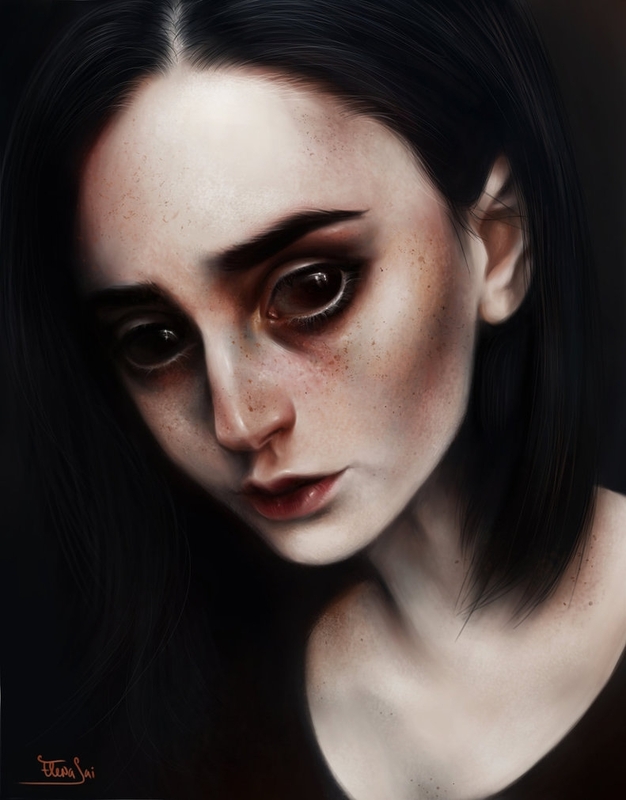 I have included a video from Sai showing the various stages of one of her drawings.